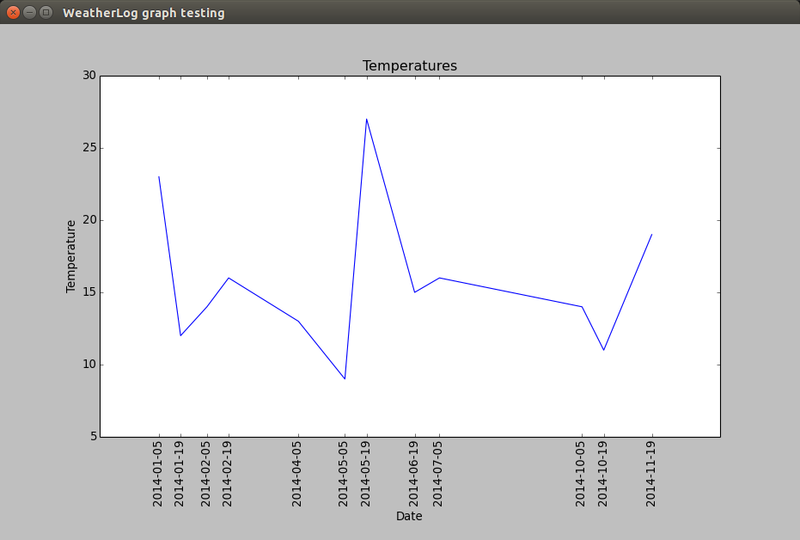 I’ve finally gotten around to working on the graphs, a feature that I’ve meant to add for quite a while now. I’ve decided to use the excellent matplotlib graphing library, as it is fairly straightforward to use and can easily be embedded into GTK applications. This is what I have currently, with some example data. I’m not too fond of the x-axis (not very easy to read), but there’s not much I can do about that. One thing I really appreciate, though, is that matplotlib will automatically scale the axes to the numbers it’s given, so I don’t have to worry about that myself.